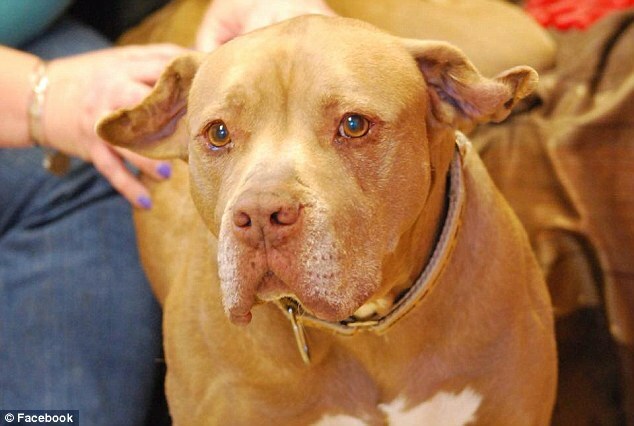 After five long years living in a shelter, a 6-year-old Pit Bull mix, Chester, has finally gone home to a loving family in New York. This is another case of the power of social media. After a picture (shown below) was shared on Facebook, and went viral, Chester got that long-awaited visit. 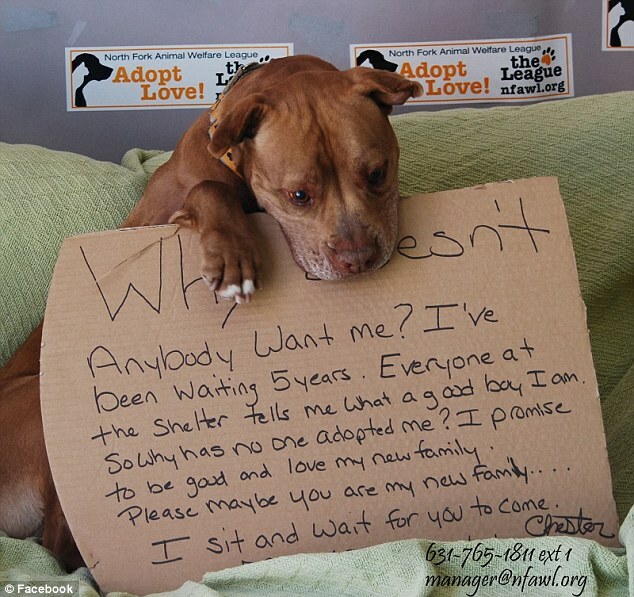 It only took two days of the picture being posted and Chester was adopted by a loving family. Dana Dor, her husband Adi, and their boys, Aidan and Brandon, headed from their Lake Ronkonkoma home to meet Chester as soon as they saw the post. ‘We saw him and we felt connected. It was meant to be, ‘ Adi Dor said; his wife said her husband had tears in his eyes the first time he met Chester. Such a beautiful story. The shelter has gained a lot of attention and is determined to use it to find the rest of the long-term residents loving families, just like Chester.